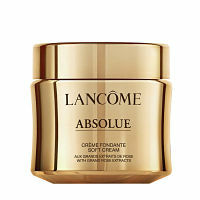 Free Lancome Absolue Soft Cream sample! "Free Sample" for $200.00 ha ha ha. Nowhere to obtain the free sample. Thanks anyways. I see the product description; but where is the free sample option? Thanks anyway :) . I could not even find where you sign up for the sample. You have to subscribe to email to get sample so time to wait and see if it comes..Thanks! have to sign up for newsletter and their rewards program. sample will probably be so small, one time use only. Hard to get a good feeling for the product with only one tiny sample. didn't let me know if I got... subscription, too!! have to subscribe to get sample. nty. same here. Not worth it to me. Thanks. I hope your comes.